Want to get some great Chinese food while supporting the DGN Parent's Club? 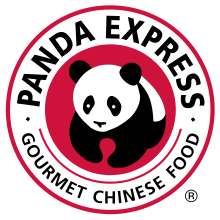 Then head on over to Panda Express (1010 North Ogden location) on Thursday, November 1st between 10a and 10p, and 20% of sales will go to DGN Parent's Club. Show the attached flyer when you are there. Join us on Saturday, September 15 in the Barrel Room at Alter Brewing for a night of socializing, great beverages, and the opportunity to win a raffle prize. Parking and entrance to Barrel Room in rear of building. If you are a beer lover – you won’t be disappointed! Prefer wine? Bring your own! For a nominal $5 cork fee you can enjoy your favorite Rose alongside the pale ales and pilsners. $10 gets you in the door – All proceeds go the DGN Senior Scholarship, Underclassman Grant and What’s Next Scholarship Fund for DGN Students. Treat yourself and your family to a great meal at City Barbeque at 1034 W. Ogden Avenue on October 12th - mention the DGN Parents' Club fundraiser and help support grants, scholarships and speakers!